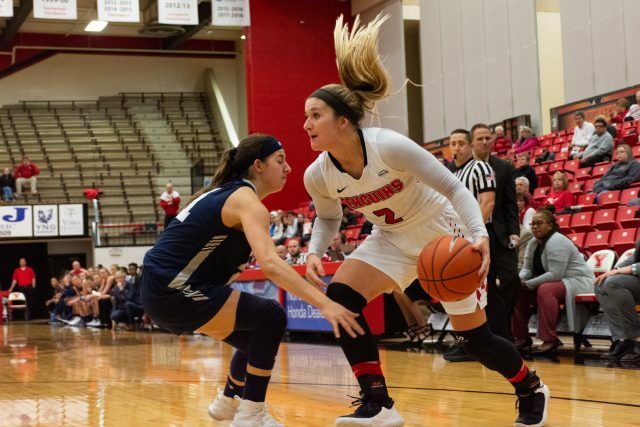 Six games into the season, and the Youngstown State University women’s basketball team sits 4-2, which is the second-best record in the Horizon League. The Penguins are posting a weak shooting percentage, not what the team expected coming into the season, but are still pulling off wins, a positive sign to Penguins head coach John Barnes. 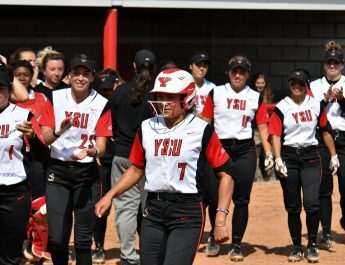 YSU is coming off of two tough losses to even tougher programs, dropping games against Kent State University and Yale University. The latter loss came in the final minute after holding a 17-point lead. In those two games, the Penguins shot 27 and 35 percent from the field, respectively. That has led to their two lowest scoring efforts of the season. Smolinski leads the Penguins in total points, with 79 on the season. McKenah Peters and Cash follow close behind with 67 and 63, respectively. The Penguins are down to eight active players. They started the season with nine players able to play, but an injury to Amara Chikwe has that number down to eight over the last few games. Barnes isn’t worried rolling with a nine-player lineup, but dropping down to eight does cause some concern. After taking on the University of Akron, YSU faces Canisius College on Dec. 1. They get a few days of rest before welcoming St. Francis University for a Nov. 8 tip off at 4:45 p.m.